Overanalyze, this year’s 4 ¼-length winner of the Arkansas Derby (G1), has been retired from racing and will stand the 2014 breeding season at WinStar Farm in Versailles, KY as a participant in WinStar’s Dream Big program. The Dream Big program offers breeders the opportunity to earn a lifetime breeding right in Overanalyze by breeding & producing two live foals on stands & nurses contracts in the first two years of his stallion career. His 2014 fee will be $10,000 stands & nurses. Campaigned by Repole Stable and trainer Todd Pletcher, Overanalyze started his career fast as one of North America’s top 2-year-olds of 2012. He impressively captured his debut at Saratoga with a wire-to-wire win in :57 2/5 for five furlongs before winning the Futurity S. (G2) at Belmont, drawing off by 3 ¼ lengths from off the pace. Overanalyze stretched out to 1 1/8 miles to win the Remsen S. (G2) at Aqueduct over Normandy Invasion, earning a 99 Beyer to close out his multiple graded stakes-winning juvenile campaign. His 99 Beyer represented the fastest Beyer earned by a 2-year-old over a mile in 2012, and Overanalyze was weighted at 120 lbs. on the Experimental Free Handicap. In 2013, Overanalyze scored his biggest career win in the $1 million Arkansas Derby (G1), cruising to a decisive open-lengths victory over a field that included eventual Preakness winner Oxbow. He retires as the late Dixie Union’s last Grade 1-winning millionaire to enter stud, with three major graded stakes wins and lifetime earnings of $1,046,381. “Overanalyze is a Grade 1 winner by a good sire, was an expensive yearling, and was a multiple graded-winning 2-year-old. What more can you say? He has every chance to be a quality sire,” Pletcher said. Out of the mare Unacloud, Overanalyze is a half-brother to Grade 1-winning juvenile Meadow Breeze. Repole purchased Overanalyze at the 2011 Keeneland September sale for $380,000, marking the highest price for a yearling by Dixie Union that year. Overanalyze is currently available for inspection at WinStar. 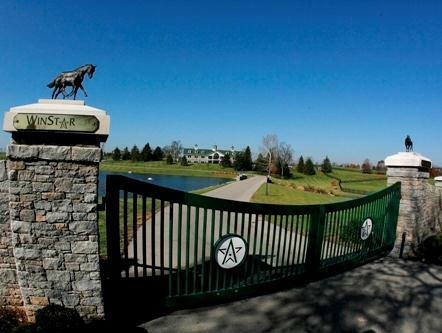 For more information, please contact Darren Fox or Chance Timm at 859-297-1328, or visit WinStarFarm.com.